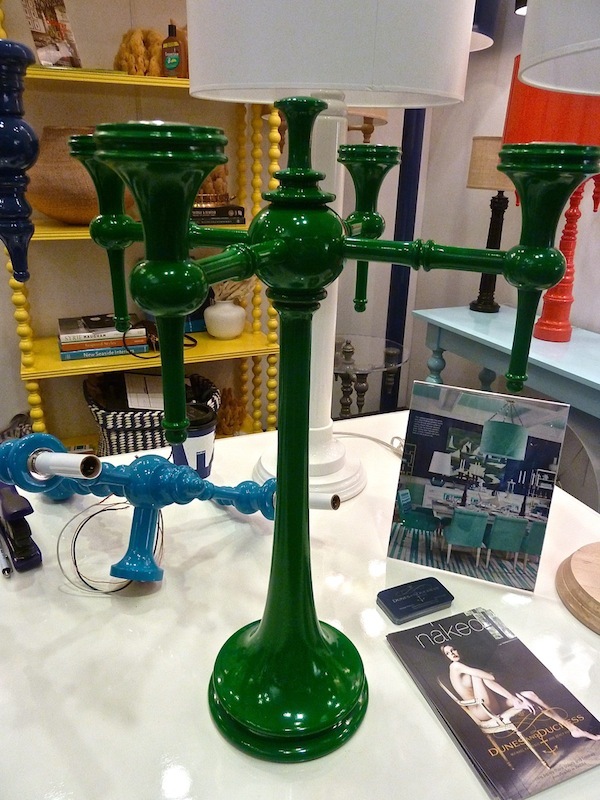 While there didn’t seem to be any singular overwhelming trend at the gift show, some styles were seen at several of the booths. Peacock has been slowly making its way into many of the home collections over the past year or so. It’s a personal favorite and I’ve been happy to see it in many of the fashion collections as well – you’ll see me sporting a bit of the shade this fall. 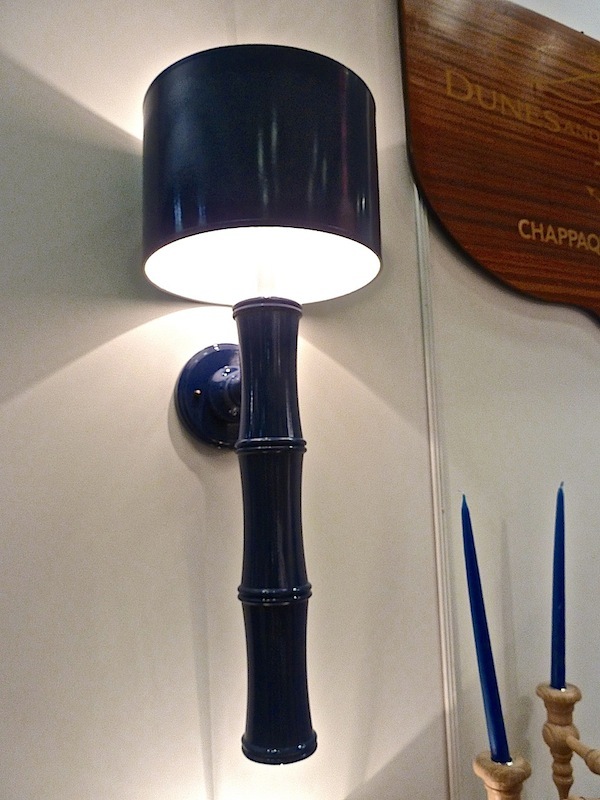 While high gloss and lacquer are not new, more brands have joined the field offering this glamorous finish. We saw the emergence of metallics the last couple of seasons and a little glimmer is definitely a must for the holidays as was seen in many of the tabletop collections. Nouvel Studio, the creative Mexican glass manufacturing company, is a wonderful source for unusual and elegant vases, bowls, glasses and objets. 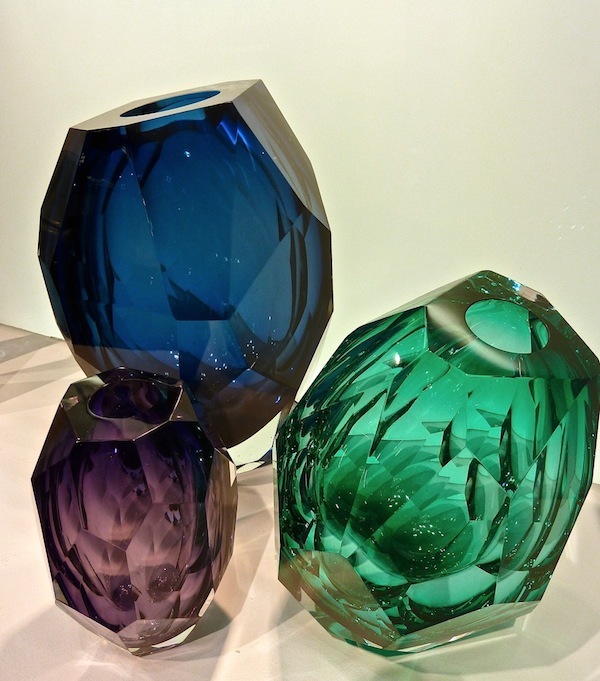 I love the jewel-like Mipreshus vase above, designed by Orfeo Quagliato, with its artistic faceting. The dark blue is a not quite peacock but certainly a shade that would show off any bloom. 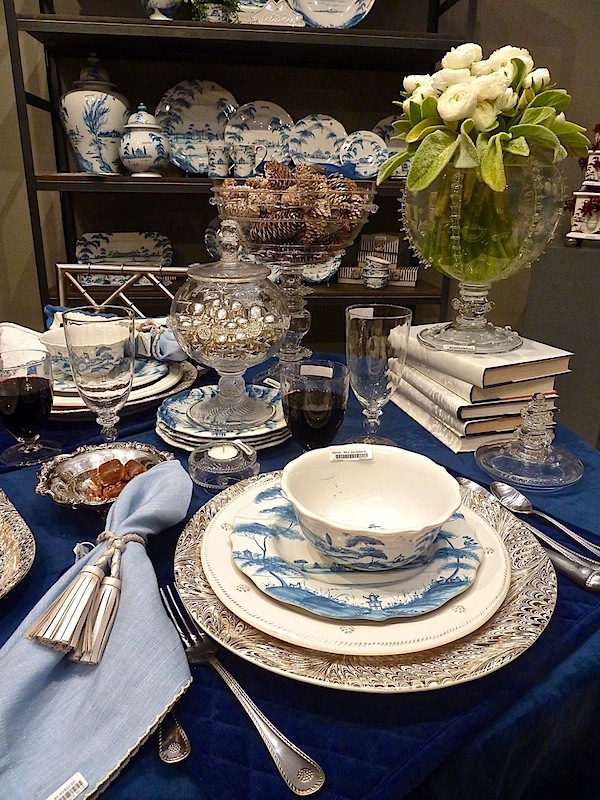 Kim Seybert always offers a bevy of options for holiday tabletops. A new introduction this season is this fabulous feather mat. 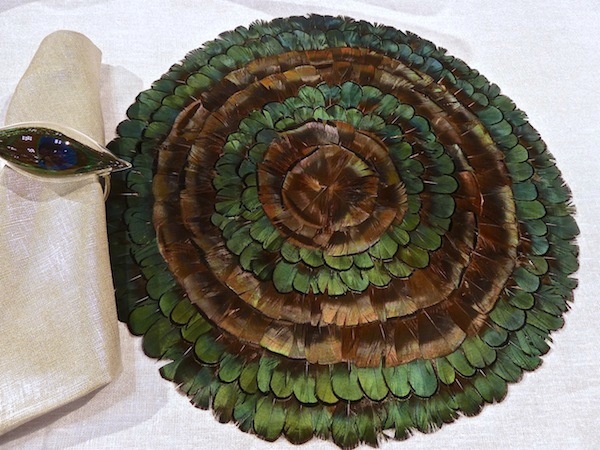 There are undertones of peacock blue in the green and the napkin ring actually encases a peacock feather. 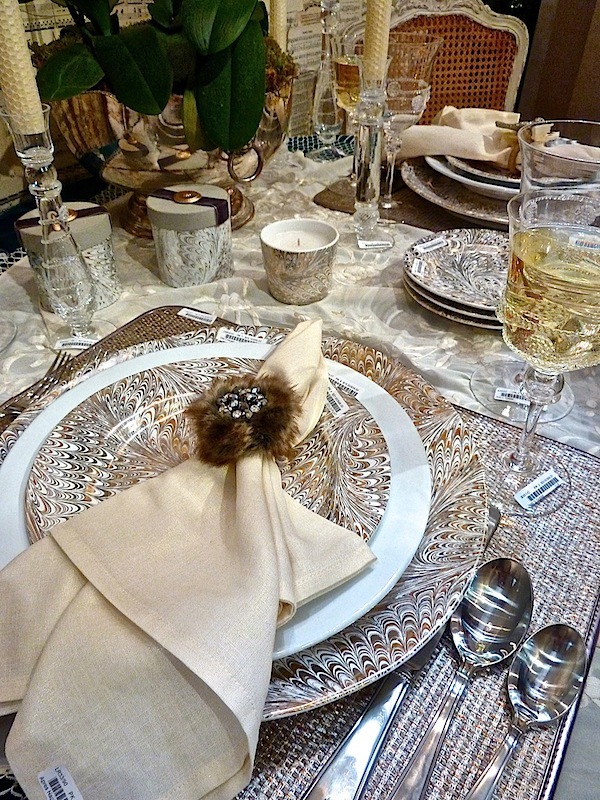 The napkin glistens with the metallic sheen of one of our other trends. 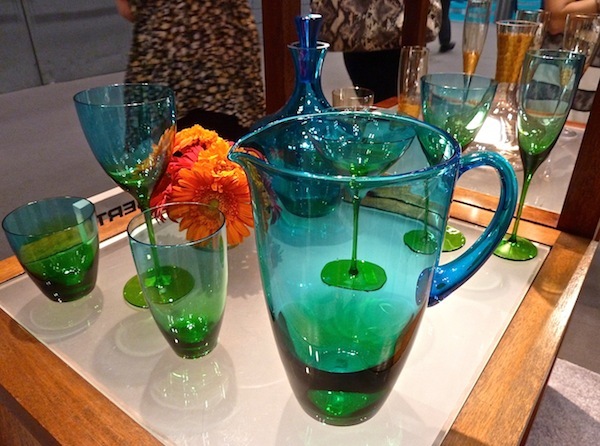 And I love their mid-century inspired Vague glassware collection. It’s aqueous green/blue colorway is like staring into the ocean. 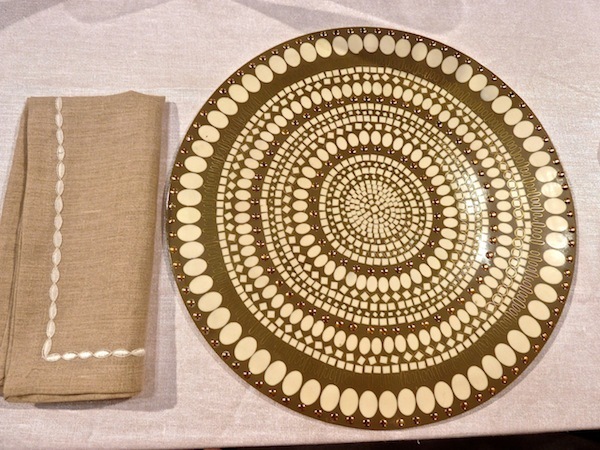 Daisy Hill introduced its new Four Corners Passmenterie mat, above, in a beautiful color they called, guess what – peacock, shown with their new circle napkin. It’s a geometric winner. 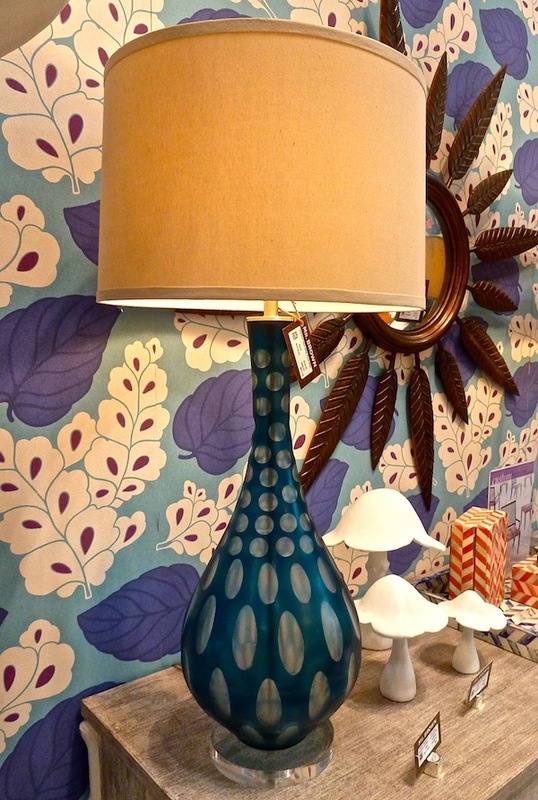 At Mr. Brown, the Dartmoor table lamp was a lovely addition to our peacock collection with a feminine shape and bit of exotic inspiration. A high gloss finish is nothing new at Dunes & Duchess. 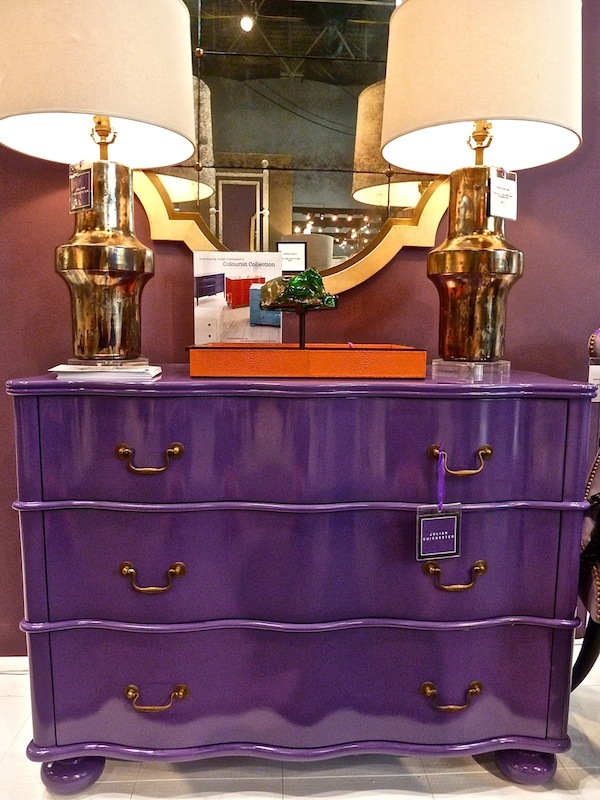 They have perfected the craft here in Connecticut and are now known for their dazzling shades of luscious lacquers. 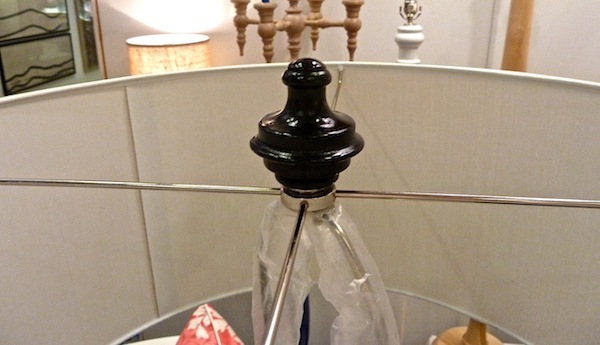 This season they are adding matching lampshades to their lamps and sconces with coordinating finials, a great detail. 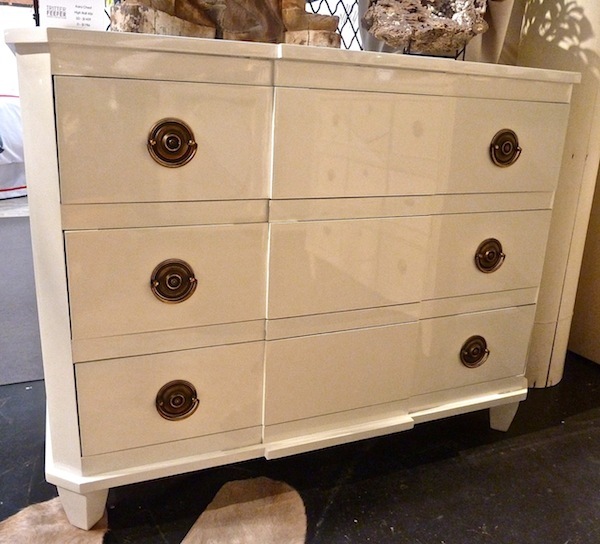 Julian Chichester is offering its new Colourist Collection where pieces can be custom ordered in any Pantone color in custom lacquer finishes as seen on their Regency chest below. Imagine the possibilities. Another manufacturer newly entering the high gloss arena is Tritter Feefer, who showed their Kara Chest in a pristine white (High Ball 456). There are 200 high gloss finishes to choose from. 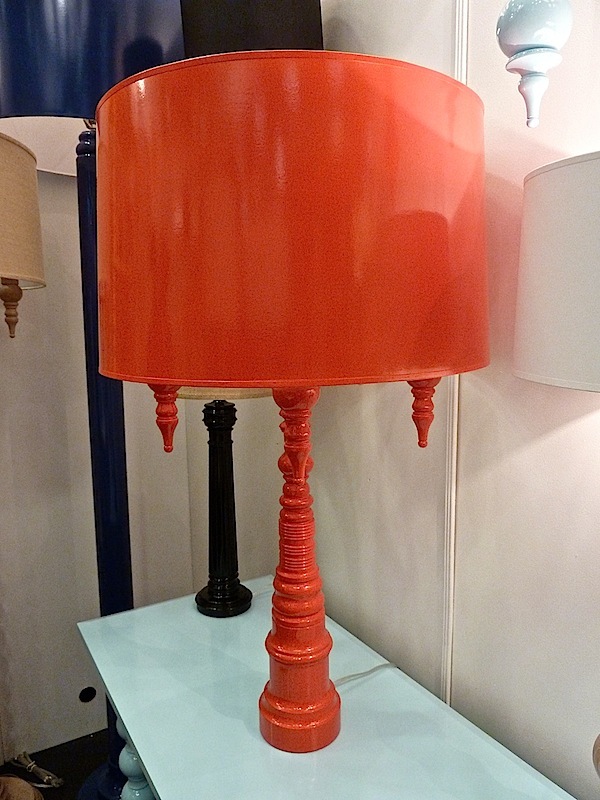 Redd Egg, Carol Gregg’s High Point based wholesale accent furniture company offers Asian inspired pieces with a twist. In bright colors, they become fun modern versions of traditional far east forms. The Double Happiness collection brings great storage in a sleek lacquered package. 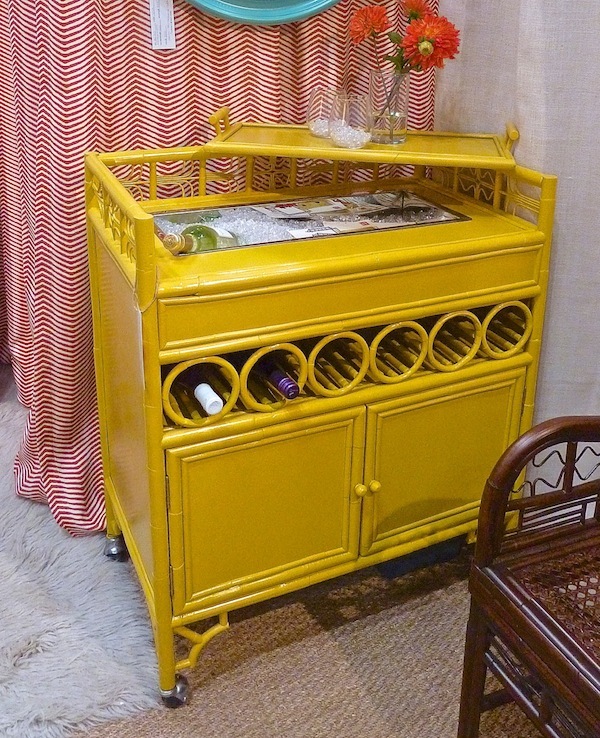 This bar car is a great entertaining piece with clever multifunctional top. 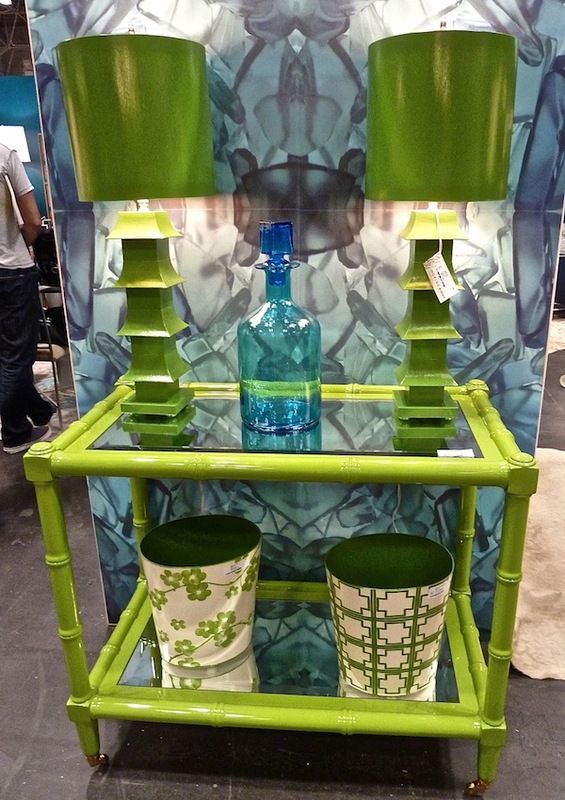 Another high gloss bar cart in a lacquered lime was seen at Worlds Away. It’s a fun color story that extended to other accessories. It’s not surprising to see a bit of glitter at the gift show in the fall but a few companies offered understated versions I particularly liked. 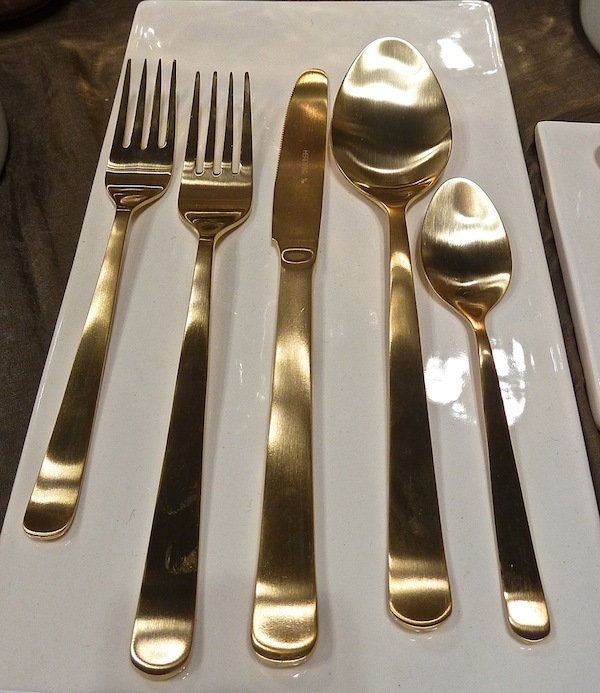 Canvas‘ matte gold cutlery is appealing in its clean simple lines. 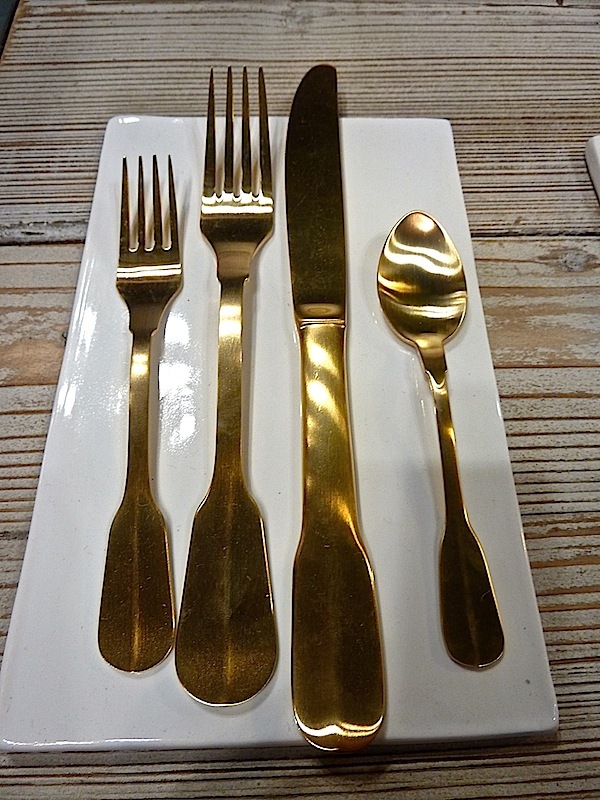 and they have now added the Bistro shape in the gold tonality. 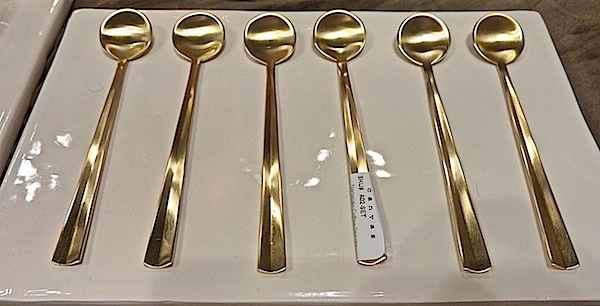 Their coffee spoons would make a great hostess gift alone or as a larger present combined with some fun espresso cups, and perhaps some gourmet goodies. Kim Seybert is never short on shine. Her mosaic mat is new in this colorway with a little glimmer added from the “studs”. 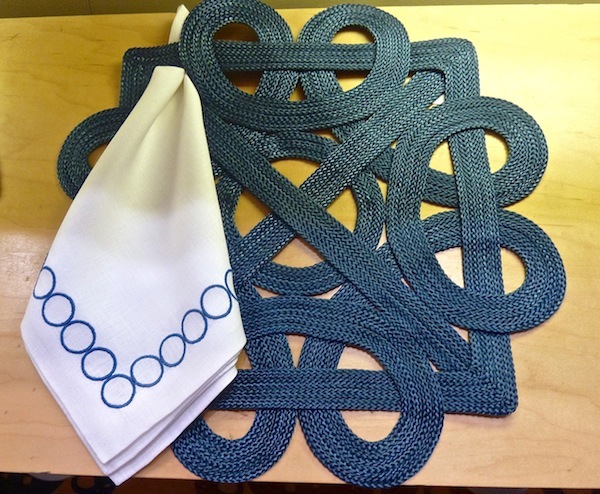 And the subtle metallic thread on the napkin is the perfect accompaniment. I think these new mats would be fabulous at the holidays. They are very thick and durable with a marvelous mildly exotic shape. 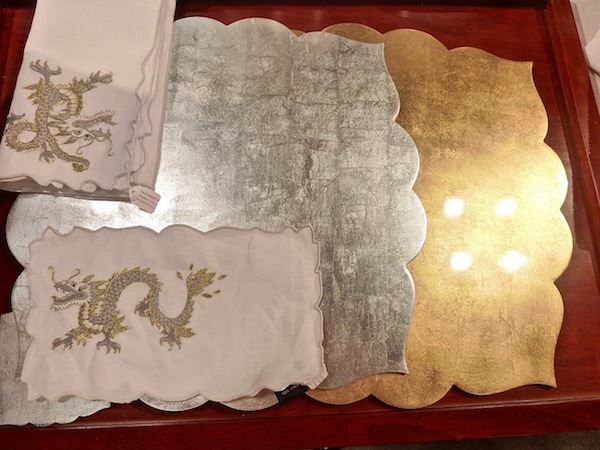 And the gold and silver embroidered dragon are available as cocktail or full size napkins. One of Juliska‘s new Fall themes is Bohemian shimmer. 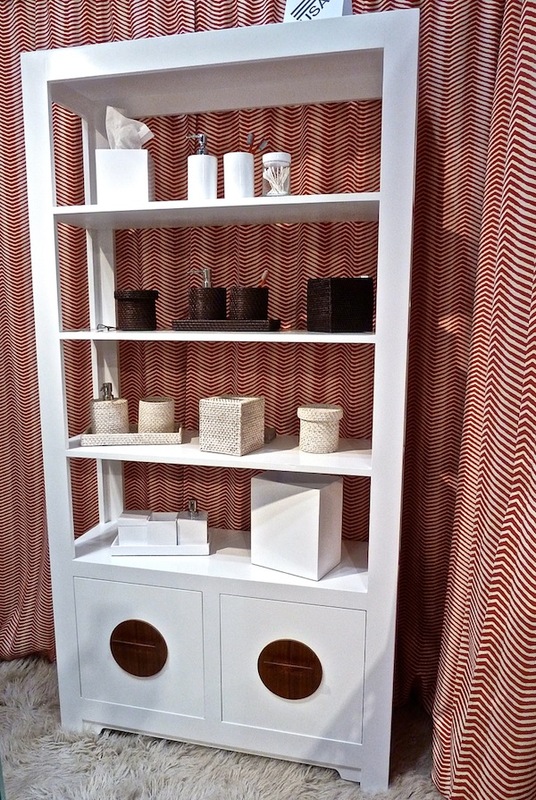 I loved their new Firenze marbleized pattern that they introduced last spring. For this season, it is available in real gold and platinum versions. It mixes beautifully with their other patterns. They also introduced new napkin rings – my favorite was this versatile leather tassel, shown here in silver. They always do such beautiful merchandising. 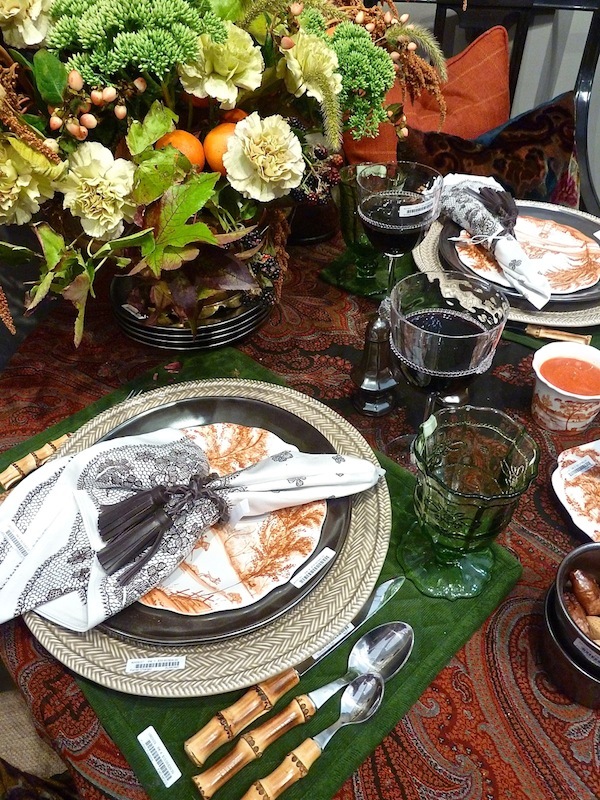 Here they show off their Autumn Harvest story with the new pumpkin colorway of their popular Country Estate pattern and the clever Antique Lace Napkin, again with the Leather Tassel Napkin Ring. Clearly lots to choose from for your fall home and entertaining plans! This entry posted in design, furniture, interior design. Entry Tags: Dunes and Duchess, interior design, Julian Chichester, Juliska, Kim Seybert, NY Gift Show, NY Now Bookmark the permalink. Overwhelming collection of images of beautiful things, I love the first vases from Mexico, the tiki lamp, pecock mat and those frosty Bohemian shimmer pieces. What a fun show you must have had. I attended the show last week and was so impressed with your choices. Not an easy show to edit on that scale! I was just introduced to you blog…fantastic!! What a gorgeous post, Quintessence. Wow nothing blows my skirt up like tabletop. Thanks for taking you with us and for your discerning eye. The peacock trend has been prominent in stationery all this year, from a variety of vendors. 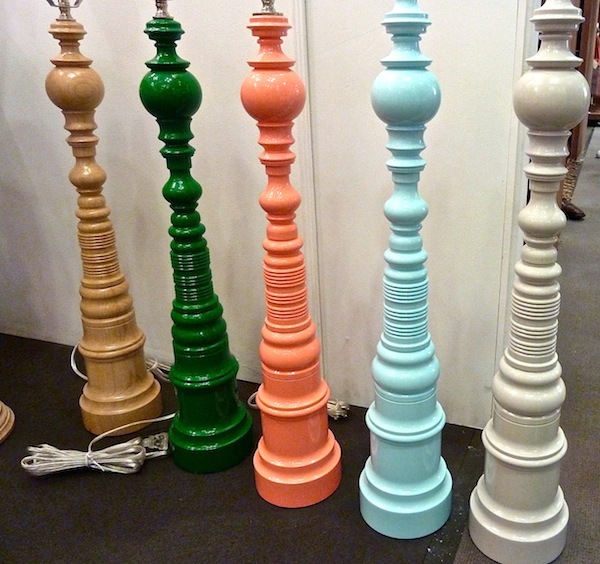 It’s interesting to see a trend go from paper to home — it’s more often the other way around! 78 queries in 0.438 seconds.